When to replace my Superfeet Insoles? 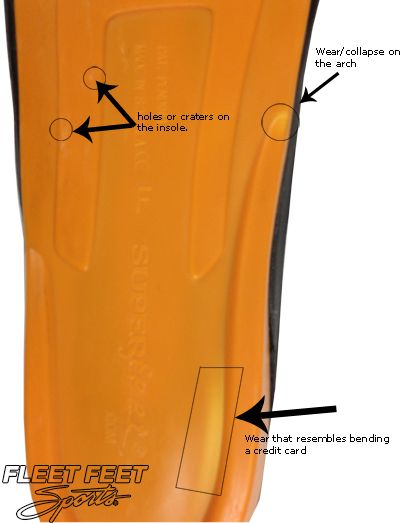 Home › Store Info › Products › When to replace my Superfeet Insoles? You've been using your Superfeet insoles for about a year, through two pairs of shoes, and are starting to wonder if it is time to replace them. It is hard to feel the wear in your insoles, unless you are comparing them with a pair of new ones. The insole wear will usually be gradual, and not sudden -- they will be in similar shape as yesterday, but not last month. Luckily there are signs that the insoles have lost cushion or support. 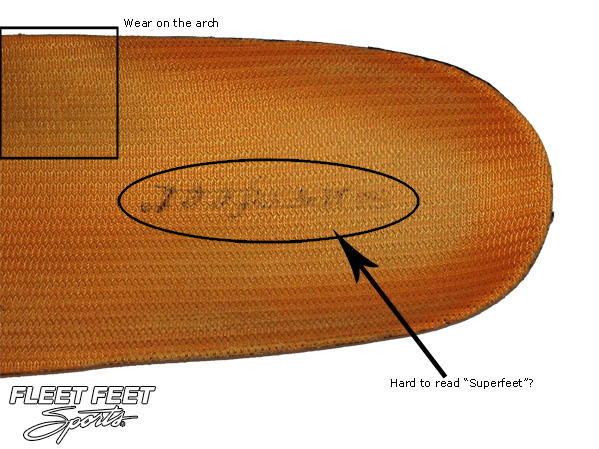 There are many different signs of insole wear. Some of them are superficial, such as wear on the soft pad on the top of the insole, others are structural and mean that the support is limited. If you are ever in doubt do not hesitate to come visit us. 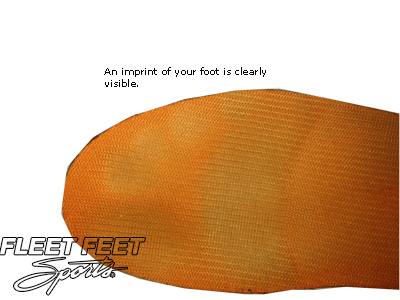 Our FIT Specialists are trained to help you determine how much longer your Superfeet insoles will last. Not sure when you're in a bad relationship with your sports bra?